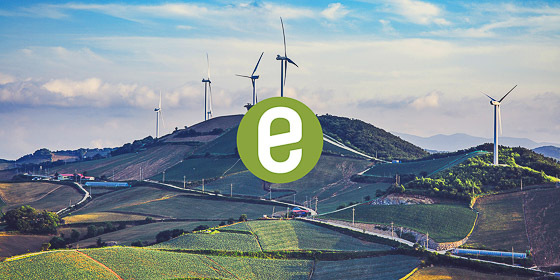 The Entrepreneur Impact Program is committed to helping early-stage hardware startups and entrepreneurs in the social, cleantech, and environmental sectors get to market faster. To join, your business should be less than 5 years old, have fewer than 10 employees, and have less than $1M USD in annual revenue. Apply and get up to $150,000 in free Autodesk software that will help you design, visualize, and stimulate your ideas. Visit Idealist and find volunteer opportunities, nonprofit jobs, internships, and organizations working to change the world. Read IDEO’s “Field Guide to Human-Centered Design” for ideas on how design can work for the social sector. This free download includes design methods, case studies, worksheets and more to help with brainstorming, prototyping and building solutions. The MaRS Entrepreneurs’ Toolkit offers information for groups ready to plan for and execute a business launch. The Entrepreneurship 101 toolkit is particularly useful. Explore REDF Workshop for information on employment social enterprises including how to use the model in your organization, how to invest in or support companies already using it, and how to analyze the impact of employment social enterprises. seToolbelt provides a searchable database filled with open-content forms, worksheets, and articles for social enterprises to use in development, launch, and growth. Social Enterprise Canada is a comprehensive toolkit with interactive worksheets, articles and more. Valuable information includes learning about social enterprise, how to plan a social enterprise, and management/assessment of a social enterprise. This resource is especially helpful for those looking to start their social enterprise in Canada. Read the Startup Playbook by Sam Altman for a fun, informative look at what makes a great startup. This resource also includes information mentors use to guide their mentees’ growing businesses. Sustainability Degrees provides a step-by-step informational guide for students who are interested in getting involved in sustainability. The guide has information about upcoming events around the U.S. and on how to start your own sustainability project. Explore Ultd, an all-in-one toolkit with plenty of resources for all stages of social enterprise business. Their entrepreneurship matrix offers background readings, introductory course modules, and much more. Acterra’s Business Environmental Award goals include celebrating the accomplishments of businesses with innovative sustainable programs, recognizing leaders in the industry, and providing an educational forum that increases awareness and motivates all companies to adopt sustainable business practices. American Planning Association Awards for Excellence in Sustainability 2016 awards categories include development projects, building projects, park projects, policy and law projects, transportation projects, and leadership projects. American Public Power Association DEED Project provides up to $5,000 for projects of interest to electric utilities and up to $3,000 for travel expenses to present project results at the Annual APPA Conference. Applications close in February and October. Ashoka Fellowship provides a full-time stipend for individual social entrepreneurs for, on average, three years. This can be used to develop and spread ideas to make global change. 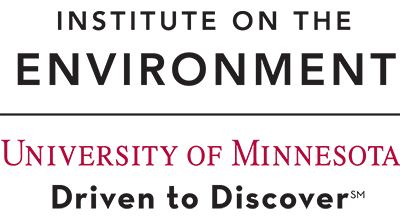 CGI University supports “Commitment to Action” plans developed by individuals or groups. University of Minnesota students can attend conferences and submit plans. Applications close in October. CIEE Grants and Scholarships are directed toward students in a wide range of fields who are conducting their research, volunteerism or studies internationally. Each grant/scholarship averages about $2,500. Applications close in April and November. Clinton Global Initiative works to improve health care, increase opportunities for women, create economic opportunity and growth, address issues of climate change, and more. Competitions Archi provides an archive of information about many upcoming challenges and competitions in different countries. The Consortium on Law and Values provides funding for intramural projects related to the societal implications of problems in health, environment, and the life sciences. 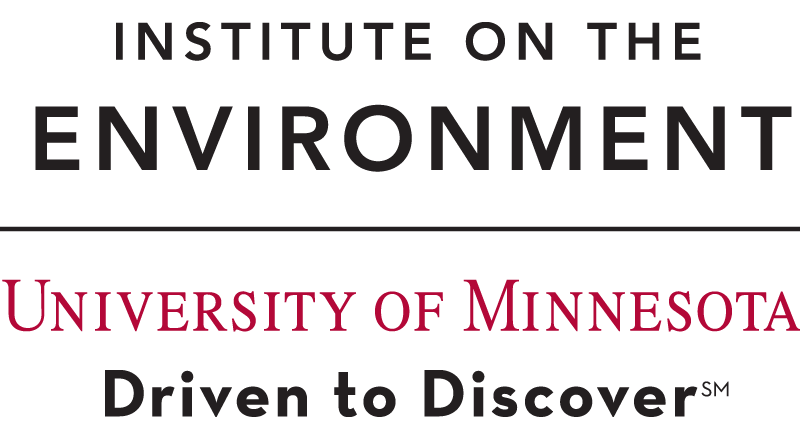 Grants of up to $7,000 will be awarded to UMN graduate and professional students for work during the summer of 2018 and academic year 2018-19. Proposals are due in February. Davis Putter Scholarship supports students working toward social and economic justice. The scholarship provides up to $10,000 per year. Plans that serve the U.S. are preferred, though international work is also considered. Applications close in April. Designing for Social Innovation and Leadership (DSIL) offers coursework that combines online learning, field immersion, and human centered design to teach development of programs that make an impact. E-Fest at the University of St Thomas is a 3 day celebration of undergraduate entrepreneurship culminating in the Schulze Entrepreneurship Challenge where students have the chance to compete for over 250,000 in cash prizes. Travel and lodging assistance is also available for out of state students. Echoing Green provides up to $90,000 in fellowships to help emerging leaders solve the world’s biggest problems. Applications close in November. Economic Development Fellows Program offers graduate and professional students the opportunity to consult for small businesses. Additionally, small businesses with project ideas are welcome to submit their projects for support at any time. Energy Globe has been deemed one of the world’s most prestigious award for sustainability. Grand prize is €10,000 euros. Ella Lyman Cabot Trust Grant supports the development of individuals and their charitable, religious, artistic, educational and scientific projects with grants in the range of $15,000–$25,000. Applications close in April and November. Fly Your Ideas Competition – Airbus has been supported by the United Nations Educational, Scientific and Cultural Organization (UNESCO). The winning team receives €30,000. Halcyon Incubator invites individuals over the age of 21 with a social venture idea to spend 6 – 18 months in Washington, D.C. working full-time on their social venture. Access to housing, office space, mentors and advising, and more is provided as well as numerous networking and audience-building opportunities. IDEX Accelerator and Global Fellows Program mission is to develop the next social intrapreneur leaders to build up economies and strengthen communities around the world. In this six months program, fellows gain hands-on experience in Bangalore working for a variety of social enterprises across India to address society’s most pressing problems. Impact Iglu is a business competition that takes place in May. Register your idea for solving a societal challenge and be part of the weekend conference that takes place in Helsinki. Institute for Entrepreneurship and Social Impact is offered at George Mason University near Washington, D.C. This program welcomes students from around the world to participate in a three-week certificate program for social enterprising during July. Students learn how to identify problems, develop solutions and create strategic plans for projects they are passionate about. Institute of Current World Affairs Fellowship is available to graduated students from a wide range of backgrounds who would like to fully immerse themselves in an international project. Applications close in March and September. The James Dyson Award is open to submissions in late March annually. They reward socially conscious, innovative undergraduate students, graduate students, and recent graduates for developing meaningful solutions to real world problems. The internationally winner is awarded $40,000 USD. Full-time University of Minnesota junior level or rising seniors enrolled in a degree-granting program are welcome to apply for the Johnson Brothers Scholarship. This $5,000 scholarship is provided to students with strong academic records, demonstrated financial need, and commitment to entrepreneurial initiatives. Applications are accepted in the spring and are distributed during the following academic year. Leadership Exchange is a two- to four-week summer program offering courses, workshops, leadership activities, community service and cultural activities at sites in Prague, Raleigh and Rome. While there, students learn about social entrepreneurship and can complete a social entrepreneurship certificate. The Moving Worlds Institute is an immersive six-month Global Fellowship program that empowers mid-career professionals to make a positive impact with their career. Mycelium offers an intense 12-week on-site and online combination program that helps students with an innovative idea identify their major question, generate a learning plan, gather resources, develop a team and practice skills necessary to launch their ideas. Samuel Huntington Fund awards $15,000 to a graduating college senior who wishes to pursue public service for one year anywhere in the world. Applications close in January. Find mentoring opportunities at SCORE MN – where experienced Minnesota business leaders volunteer to support small business owners. Social Enterprise Alliance (SEA) Twin Cities supports financially sustainable social innovation through member driven networking, mentoring, partnerships and impact legislation. Student Unions & Activities Grants are available for registered student groups at the University of Minnesota. Eligibility requirements vary; applications are accepted on a rolling basis. With Tech Con’s Innovative Marketplace, young (18–30) innovators can compete in a national challenge for novel technology, products, services and research with an impact on global development. Competition winners receive mentorship and funding. Applications are due in May. Session proposals are also accepted and are due in June. Calling all for-profit tech start-ups that help tackle climate change and provide food and water sustainably: Techstars Sustainability Accelerator, in partnership with The Nature Conservancy, continues with its second accelerator class this summer in Denver, Colorado. Ten start-ups will be selected for the acceleration program, and will each receive seed funding up to $120k, plus exposure to TNC’s global footprint of programs, projects and partners, and Techstars’ extensive network of 10,000+ mentors. Applications are open now through April 7th, and the program begins July 29th, 2019. Thinkable is a community of world-class researchers from the top universities and institutions, use it to source and fund breakthrough research in any field. Tiwahe Foundation provides the American Indian Family Empowerment Program Fund for individuals pursuing or planning a program that furthers culture, community, and the fulfillment of potential. Unilever’s Sustainable Living Entrepreneurs Awards rewards seven stellar entrepreneurs a total of more than $272,000 in financial support, in addition to mentoring, to help scale their services or applications. Undergraduate Research Opportunities Program is open to a variety of students in all fields of undergraduate education. UROP provides up to $1,500 for 120 hours of research work and up to $300 to pay for project-related expenses and features publication or presentation opportunities for its members. Applications close in February and October. VentureWell supports technology-based projects that take new product or service ideas from universities and bring them to the marketplace! Selected teams will receive up to $25,000 to work on their projects and attend VentureWell workshops. Applications close in October, January, and May.